The house is built around three project themes. The continuous and enlacing space, which incorporates different inhabiting functions. The time, which incorporates the movement and permanence. The materiality, which incorporates the antithesis weight/lightness. Concrete volume; from which is subtracted, the space to enter, and the south patios. Patios that enable continuity, between different spaces of the house, and interior/exterior. Which behave like a sun clock, alternating solid and diffuse light. The space articulates, compression and horizontality, with decompression and verticality. In a precise exercise, of measure and proportion. 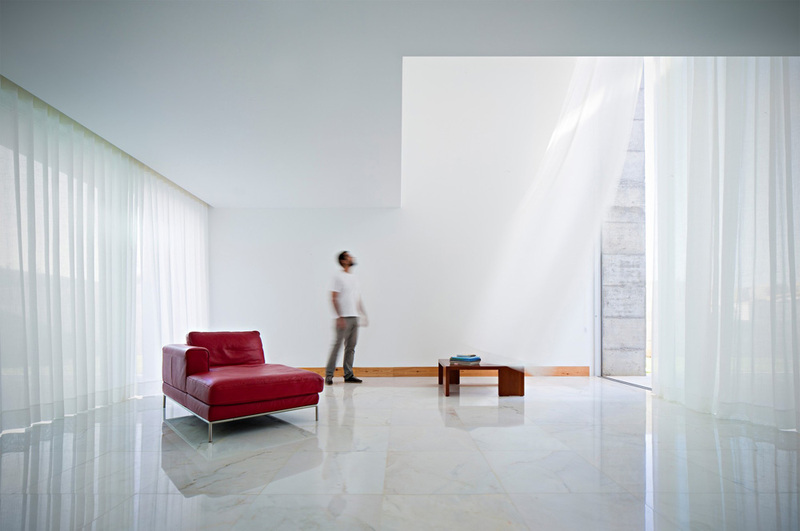 The materiality is used in its most essential expression, conferring to the house, weight and lightness simultaneously.